To use the IBM Watson assistant tool, you must sign up first at IBM Cloud or Bluemix platform. This video will guide you on how to signup and use the tool. The video describes the basics of IBM cloud on how to login, how to subscribe to Watson Assistant service and the basics knowledge require to design and build the chatbot. Intent to cancel a reservation. Intent to reschedule a reservation. A detailed discussion on design the chatbot in Watson Assistant tool is done in the below video. Watch the video to understand how you design the intents, entities and dialog quickly. Also you can use the features like Slot and Event handlers. 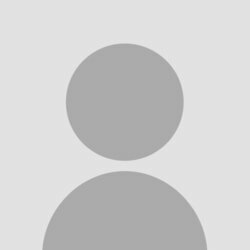 The entities are the noun or object of class which represents the data. In our restaurant example, lets assume that the restaurant is located in three cities Kolkata, Delhi and Mumbai. So we will define an entity @city which will have three values as Kolkata, Delhi and Mumbai. Each value will have multiple synonym to identify the value as entered by the user. 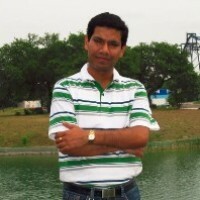 For example, many people call Calcutta which is the former name of city Kolkata. So the bot should be able to recognize the value of entity @city as 'Kolkata' when the user has entered as 'Calcutta'. Finally you design the dialog using the entities and intents. The dialog flow is the key part of the design. You have to use the intents to identify user input and take action appropriately by identifying the data from entities. When you expand the #Make_Reservation dialog node, you see that I have used Slot features of Assistant tool. Slot is a nice way to capture user input and identify all the entities either in one single sentence or one by one. This feature helped me to capture the reservation date, time, city, number of person and name of the person at one go. 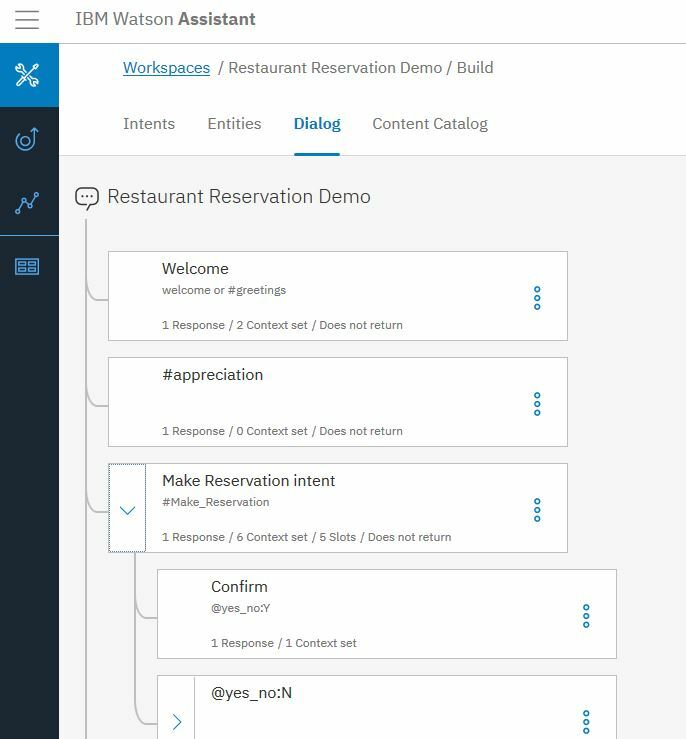 Once we finish the design of the conversation in Watson Assistant tool, it is time to write our code using a server side programming language which has the capability of calling or consuming REST API. We will use PHP here. The complete code is present in GitHub. But you may watch the below video to see the demonstration of the chat bot and the explanation of the PHP code in better way to understand. You need change the following line of the code files. In file app/global.php change the below line of code according to your directory structure. Also modify the file app/ajax/class/config.php for the below line of code to put the Watson workspace id, username and password and the MySQL database information. You have to understand that REST APIs are stateless in nature means it does not store the information of the request but the Watson API expects the conversation context to be sent as input parameter. To implement this, I have to use the sessions in PHP using $_SESSION global variable. The MySQL table creation script is present at folder ext_resources along with the JSON file of the Watson Assistant workspace export. 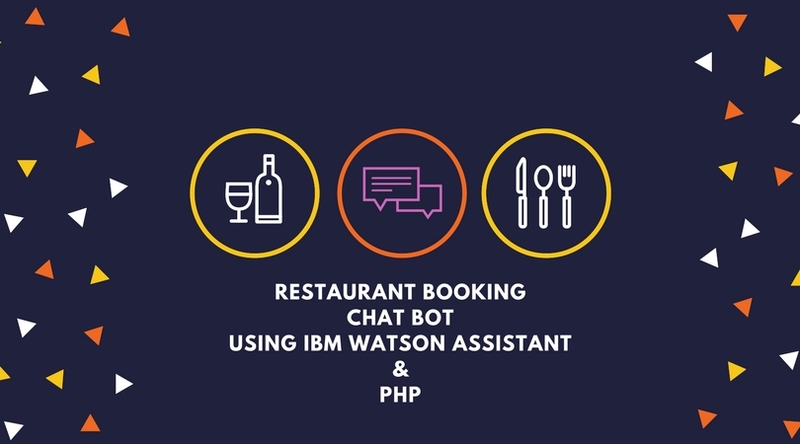 In our next blog, we will try to integrate the same restaurant reservation bot with Facebook Messenger and Microsoft Teams like communication tool. Hi, Congratulations on the post, on localhost it works perfectly, but on my site it does not. Does this script not run within a web hosting?